There is a sort of contract in the book blogging world: publishers provide their books to bloggers, who read them, if they are interested, and then review them. Disney-Hyperion generally has really good book offerings, so I was very excited to read The Archived when it was made available to me. But I was very, very surprised to find that I hadn't been given the book in it's entirety, rather a segment, an excerpt, maybe the first third of the book. Just enough to get really, really into the story and then *BAM* Oh, sorry, you don't get anymore. I think Disney is trying to create a hype by using this tactic. But all they've done is royally annoy me. I thought about not writing a review at all, but instead I'm going to write a third of a review and leave out all the best bits. I think that's fair. After all, I only received a third of a book, (maybe more, maybe less, I have no idea and no way of knowing, do I?) seems only fair, don't you think? The Archived, from what I was able to read of it, was a ______________ _________________ story! Completely _________! A fresh _______ ___________ and original _______ _______________. I _________ ___________ __________! I'd highly recommend you ______ ________ ________ this book. Miss Schwab, I'd love to read the rest of your book. And then I'd love to write a proper review. I was given this kind of opportunity, too, but I was aware that it's only a sneak peek. I am pretty sure the complete book is not available for request yet in Netgalley. Not that we, bloggers, could request. But if the e-galley from Disney-Hyperion is marked as the whole book then that's an entirely different story. I am really sorry that you have to experience this. 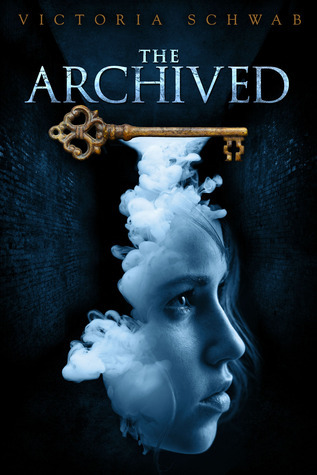 I'm looking forward to reading THE ARCHIVED as well but I think I'm going to have to preorder a copy to be able to do so. I'm not a fan of the label "Sneak Peek" - any book available on NetGalley is essentially a sneak peek. What Disney provided was an excerpt and they should have been clear about that. I wouldn't have requested just an excerpt. I can get those from Amazon.com for most published books. Whoever is marketing The Archived needs a lesson in forming proper business relationships. If they want reviews about their books, they have to actually provide the books to be read! Loved this so so so so so so so so much. :) Thanks Jolene! PS, Mary Recommended Night Sky to me and I loved it! !